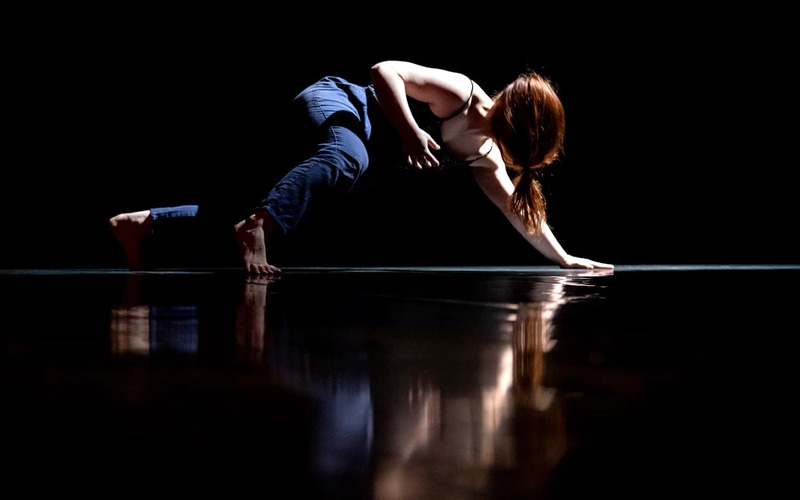 "PIEDRA is proposed for three performers, as a road to explore resistance, conquest and failure. The hardness of the body and the moment of fracture that surprises like something unexpected." "As is usually the case with Igor Calonge premières, Gazteszena theatre is full to the brim –proof of the interest in this San Sebastián native's work– and an hour before curtain there were already seven people waiting for the box office to open. 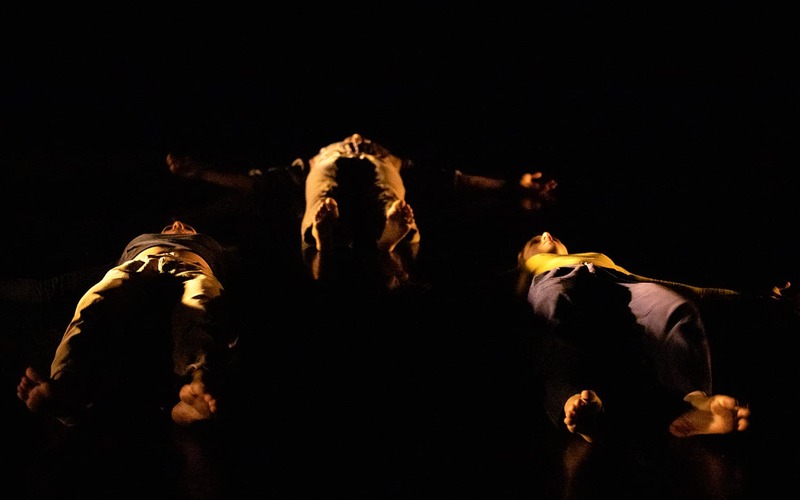 As 'Piedra' (Stone) opens, three dancers appear stretched out on the floor, crossing the performance space in horizontal turns, over and over, from side to side, in semi-darkness and wrapped in atmospheric music. This unusual opening provided us with a great deal regarding the vigour of the performers, the impeccable coordination between the three of them, and the choreographer's mastery of time management. 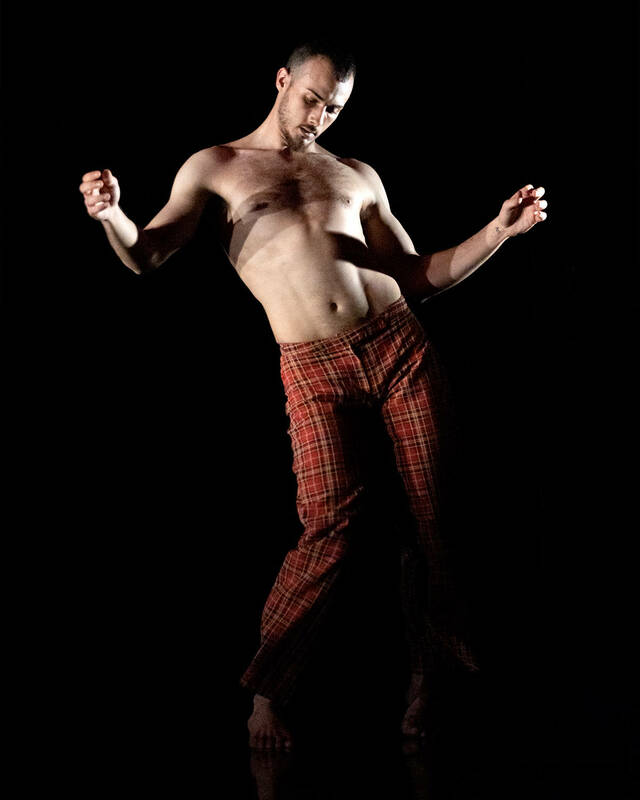 The beautiful melancholic poem 'Espaço vazio', sung a cappella by the Brazilian Kelton, gives atmosphere to the inspired manoeuvres of one of the dancers on the floor, occasionally dotted with impressive vertical lifts from the ground. Just for a moment, we might have thought this was pure improvisation, but when the other dancer carried out identical evolutions in parallel we saw that nothing here was left to chance, that everything existed in the service of a higher goal, and that both the direction of the piece and the physical involvement of the dancers implied the intention to transcend the mortal self of everyone present. In any case, not everything is derived from the physical capacity of the performers and the choreographer's incorruptible investigation, given that Calonge made the decision long ago to give the necessary significance to elements of the set, always in the service of an objective, never to disguise a hypothetical poverty dance or a lack of ideas in the choreography. This is not true in Calonge’s case, and for this work he employed a red meadow suspended on high which, supported with red light and a gentle breeze, gave the impression of a disquieting, almost threatening, submarine landscape. The dancers performed beneath this lawn of imaginary seaweed, submerged in very forceful, solid, firm, almost painful physical act. Even if we might have felt that we had already seen dancers throwing themselves with their bodies in a horizontal position a long time ago, we soon became aware that this performance had nothing to do with what we had seen up until now, but everything to do with ideas of personal risk and defence of what we believe in. At the end of this brave, advanced and uncompromising work, one of the female dancers and the male dancer became embroiled in a vigorous duet, surrounded by a psalmody sung in a foreign language, interrupted from time to time by passionate embraces. Right at the end, there were two surprises in the performance, one as humorous as it was stoical, and the other as a representation of risk and physical effort." Ainhoa Usandizaga Estarloa, Emma Riba Santuré and Víctor Fernández Durán. Danza a Escena 2019 and dFERIA 2019.